The Red Rising Trilogy by newcomer Pierce Brown shows no sign of slowing down in its second installment. Golden Son: Book II of the Red Rising Trilogy is everything the immersive debut was and then some as the theater expands beyond the academy and spreads across the solar system. The trilogy is the story of a miner who is part of a space faring civilization built upon a color-coded caste system that is dominated by genetically enhanced and augmented leaders called Golds. Miners, in contrast, are considered the lowest of the lowest caste of the civilization or Reds. They work as slaves beneath the surface of Mars, believing they are among the planet's first settlers when, in fact, the entire planet was terraformed several generations ago. 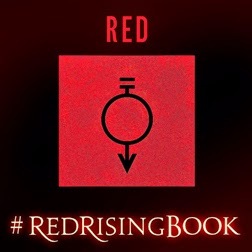 The tragic protagonist, Darrow, learns the truth shortly after suffering a great personal loss in the first book Red Rising and an underground insurgence called the Sons of Ares recruits him for an impossible assignment. The Sons persuade Darrow to be biologically retooled and mentally trained to blend in as the Golds he has come to loathe so he may infiltrate their ranks as part of a bigger plan. An unpredictable thriller where loyalties are made, bought, and broken. Two years after successfully infiltrating the elite academy and earning his place among the Golds, Darrow is still playing war games with the various families and factions that rule the solar system. This time the games take place in space as maturing Golds aim to prove themselves as fleet commanders capable of increasing the prestige of their family. Although Darrow is a brilliant academy commander, a single misstep causes his patron to withdraw their support and eventually strip him of his affiliation For Darrow, it is a double loss in that he not only loses his hard-won post as a peerless commander, but also his growing influence that he planned to one day wield as a weapon against the cruel, brutal and decadent society that reigns over mankind. But just as all seems to be lost for Darrow, two major houses begin a feud that quickly erupts into a civil war, providing him an opportunity to once again earn his place as an indispensable commander. But even as he does, Darrow is forced to confront other challenges as different Golds set new agendas in motion, the Sons of Ares splinters, and Darrow forces those closest to him to pass the ultimate test of loyalty by asking them to accept and guard his greatest secret. In a story that sometimes mirrors the unexpected alliances and betrayals that occurred during the collapse of the Roman Empire, Golden Son navigates wars being waged between families, within families, and the internal struggles people face in choosing friend or foe, kindred spirit or nemesis. Even Darrow, though steadfast in his convictions, is continually tested to choose between his head and his heart — the interests of the those who put him there or those who now surround him. A few more graphs about Pierce Brown and his inventive world. 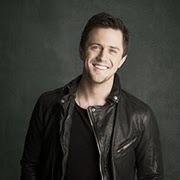 From a brief stint as an NBC page to his work as an aide on a U.S. Senate campaign, Pierce Brown had just the right life experience and determination to bring his trilogy to life. The self-described science fiction nerd who used to fantasize about ruling kingdoms as he and his friends built forts and set traps as part of their own war games leaves few details untouched to create an immersive world. The caste system in Red Rising includes fourteen different castes that were originally created to improve labor efficiencies but then were reinforced through genetic and surgical manipulation. The result was a color-coded society ranging from unskilled laborers, slaves, servants, and soldiers to the ruling class alongside businessmen, bureaucrats, and ritualistic leaders. In addition to the caste system, Golds have different houses and hierarchies, each with its own characteristics. Golden Son By Pierce Brown Crosses 9.2 On The Liquid Hip Richter Scale. While many people will no doubt look fondly on the first book, Brown has come into his own with the second book by doubling down on Darrow as a dramatically flawed hero who is just as capable of making immeasurably costly blunders as well as achieving seemingly impossible feats. And yet, it is his most pronounced flaw — an insatiable need to trust those who are untrustworthy — that also makes him an endearing character. 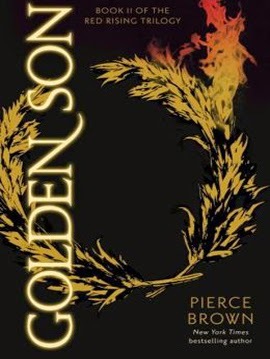 Golden Son: Book II of The Red Rising Trilogy by Pierce Brown is on Amazon. You can also find Golden Son and other Brown books on Alibis. 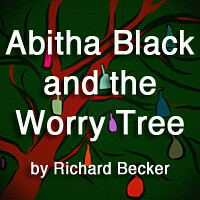 The novel is also available for iBooks and as an audiobook for iTunes. Tim Gerard Reynolds continues to narrate the book, giving Darrow a consistent flavor with which listeners can identify. After navigating the waters of the long and laborious DIY process to produce their first album in 2011, North Carolina's River Whyless elected to decamp for a single studio session in Louisville, Kentucky, this time out. Holing themselves up with Kevin Ratterman (Andrew Bird, My Morning Jacket) at La La Land Studio, the band set out to capture their new chemistry and intuitive nature. "In an atmosphere like La La Land, you can eat, sleep and breathe the music you're working on without the distractions of everyday life. I enjoy that," says Ryan O'Keefe (guitar/vocals). 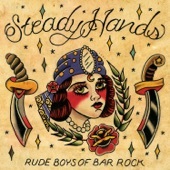 "We recorded mostly live with just a few overdubs. Kevin likes to move at a good clip in order to capture that magical, synchronistic moment." Something certainly happened in the studio. River Whyless laid down five tracks that incorporated every member's writing style in less than four days. Most of it was recorded live, with very few overdubs. The cohesiveness in this indie folk EP is evident. River Whyless gets lost in five tracks of indie folk bliss. The eponymous EP immediately captures the creativity and cohesiveness of a band that been touring heavily and steadily since their debut album, A Stone, A Leaf, An Unfound Door, four years ago. Unlike the debut, it is clear the band has laid down a direction of delivering lyrically rich harmonics and relaxed, contemplative instrumentals that build beyond its four-piece foundation. Along with O'Keefe, Halli Anderson (vocals/violin), Alex McWalters (drums), and Dan Shearin (bass, vocals) blend together their talents to form a singular sense of purpose. The album leads off with Life Crisis, a wise and wistful indie folk composition that leans heavier on its percussion and vocal echoes than this brilliantly simple and stripped back tiny desk version. Life Crisis is followed up with Maple Sap, a self-reflective metaphoric song that conjures up images of a lonely soul contemplating life while finishing off everyday chores like tapping trees for sap and collecting firewood. The beauty of the piece comes in as the band connects the dots between nature and the human experience. Bath Salt is decidedly different as the band showcases Anderson's vocals alongside a loping, fantastical rhythm. The near six-minute track soars through a variety of pace change-ups, pausing for Anderson to sing her story between climatic swirls and violin runaways. Miles Of Skyline takes a different approach by laying everything down on the machinery-like precision of the percussion, bringing in clock-like guitar patterns and violin rolls to company Shearin's vocals. While the track lacks the same depth felt throughout most of the album, its buoyant, celebratory nature delivers some diversity to the lineup. It's the closer, Fine Companion that will eventually win listeners over. Although shorter and starker than anything else on the album, the weeping guitar and strident world-worn but hopeful lyrics bring the entire EP back to the beginning. The beginning is where most people will want to be on this album. Life Crisis is the most dynamic offering added to the band's extended repertoire. A Self-Titled EP By River Whyless Soars 6.8 On The Liquid Hip Richter Scale. Some people will size River Whyless up as experimental folk rock or indie folk pop, which both seem to be a catch all for anyone who can harmonize a few lines over infectious rhythms with an interesting assortment of instruments. 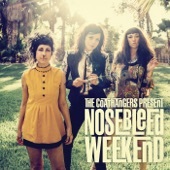 This band is something more enigmatic as traditional folk artists with an experimental edge. The result is casual confidence eclectic listeners relate to other genres. Where River Whyless stands out is in its ability to compose informed music, narratives that immediately connect with one's psyche. It doesn't just sound right. It feels right. You can find River Whyless on Amazon or download the new EP from iTunes. To get to know the band better, follow them on Facebook.